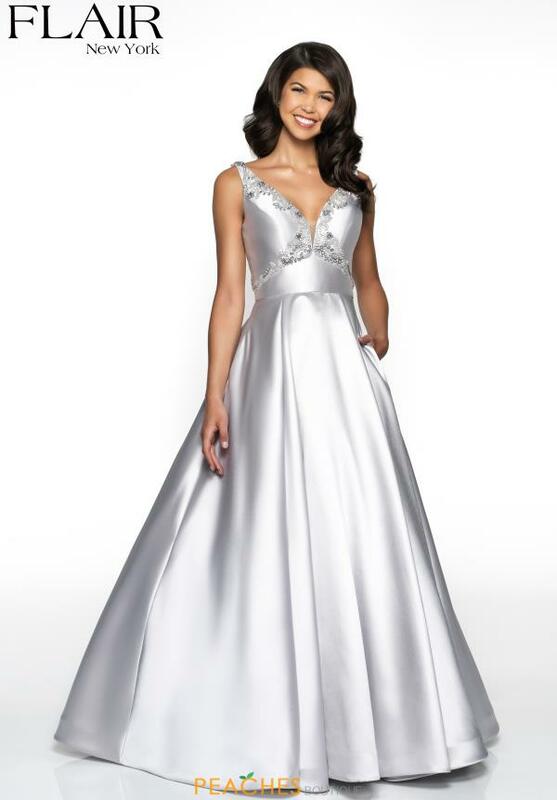 Made in a rich mikado fabric, this Flair prom dress 19072 is fashion perfection. This elegant ensemble showcases a deep v neckline and an a line silhouette. Radiant stones adorn the neckline for the perfect amount of sparkle. The back of this gown features a low open v cut closure. For more styles visit Peaches Boutique in Chicago.